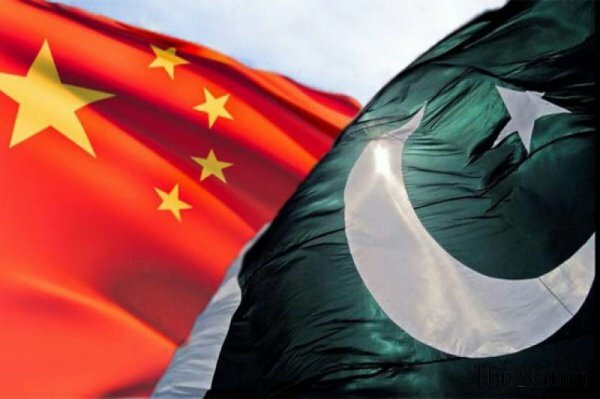 On 7 July 2016, during an event at the US Congress entitled “China-Pakistan Economic and Defence Cooperation: Global and Regional Impacts”, speakers roundly condemned China’s and Pakistan’s CPEC project, which is ruthlessly implemented against the will of local populations in Balochistan and Gilgit-Baltistan. Participants highlighted that the project’s implementation – in addition to lacking any meaningful inclusion of local populations – is enforced violently, leading to large-scale and systematic human rights violations perpetrated by the Pakistani army. European Parliament Vice-President Ryszard Czarnecki has said Pakistan is violently crushing dissent and indulging in human rights violations of the Balochistan people as the 'China-Pakistan Economic and Defence Cooperation (CPEC)' project is being constructed against their will. "The grievances of the local Baloch community were being completely ignored, and anything interpreted as dissent, was being violently crushed," said Czarnecki at an event on the 'China-Pakistan Economic and Defence Cooperation, Global and Regional Impact', in the US Congress on Thursday [7 July 2016], reports the Nation. Along with Czarnecki, other speakers at the event included Dr. Walid Phares, Co-Secretary General of the Transatlantic Parliamentary Group on Counter Terrorism and Paulo Casaca, Executive Director of Arc humankind. In his remarks about the CPEC, Czarnecki highlighted the manner in which this project was being constructed against the will of the local population in Balochistan, leading to the heavy presence of Pakistani military and police apparatus in the area. He said while the security deployment was apparently for the safety of the Chinese personnel and infrastructure, it had resulting in a situation where the human rights of the local population were being frequently violated. Moreover, the Pakistani Army was engaged in forceful evacuation of people from their traditional homesteads and farmlands in several areas of Gilgit-Baltistan and Balochistan, so as to make land available for the CPEC, he added. He also highlighted that the failure of the international community to intervene and check atrocities by the Pakistan army in the areas proposed for the CPEC, would result in the escalation of human rights violations of innocent civilians in Pakistan. Echoing similar sentiments, Casaca mentioned that while the CPEC was a good initiative, it was going through disputed territory and was being completely controlled by the Pakistan army with no local governance participation being allowed. Local inhabitants in the areas of Gilgit Baltistan and Baluchistan were being forcefully cleared for the project, rendering people homeless and depriving them of their sources of livelihood. He also referred to the aggressive Chinese actions in the South China Sea, and lamented that while the US, along with its allies, was trying to maintain freedom of navigation in the area, Pakistan, the foremost beneficiary of US largesse over the years, was now supporting the Chinese regime. The CPEC project comprises a network of railways, roads and pipelines that would connect Pakistan's port city of Gwadar in the province of Balochistan, with the Chinese city of Kashgar in landlocked Xinjiang Uyghur Autonomous Region (XUAR).